The 74th edition of the Vuelta starts on Saturday 24 August with a flat TTT. 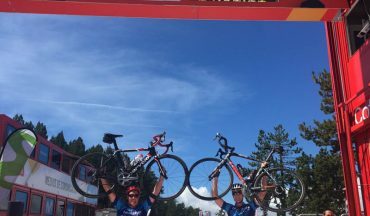 Starting in the hot climates of Southern Spain, the race moves toward the mountains and finishes its first week in Andorra. 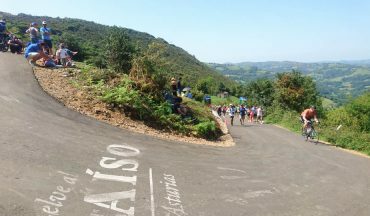 Unlike other Grand Tours, the opening week of the Vuelta has fewer flat stages and more summit finishes and a mountain stage. 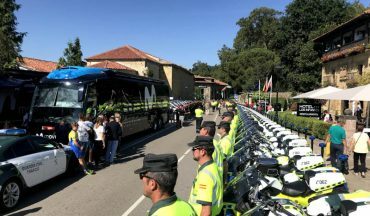 It is no surprise La Vuelta 2019 suits the climbers. 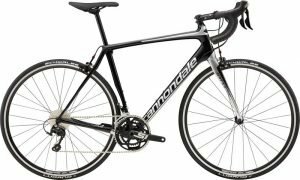 Our 2019 grand tour trip following La Vuelta will pick up the racing during the second week. 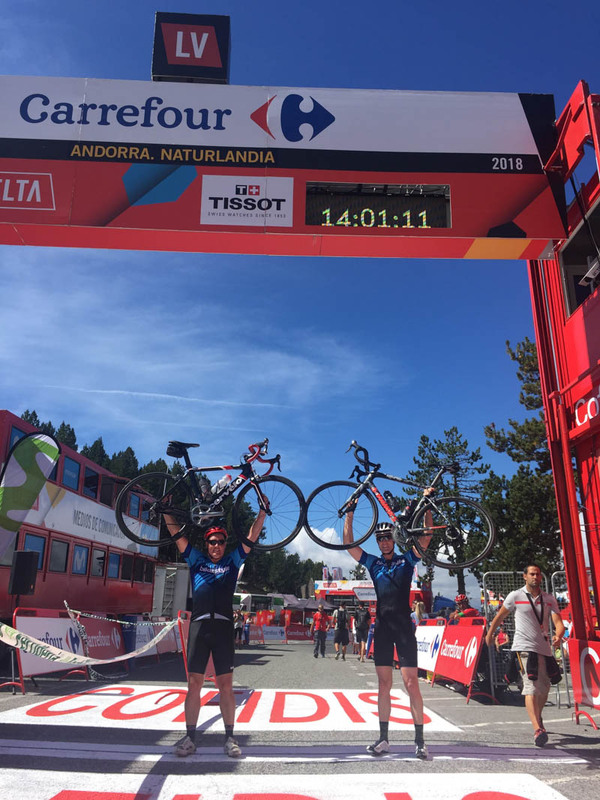 The race features an extraordinary total of eight summit finishes including the much-anticipated ramps of Los Machucos, and a brutal climbing stage in Andorra most notable. The final week plays out in the mountain ranges surrounding the capital Madrid before a finale on Sunday 15 September in Madrid. We’ll follow the race from Green Spain, through the historic palaces in Castile and León and finish in the Art precinct of Madrid. 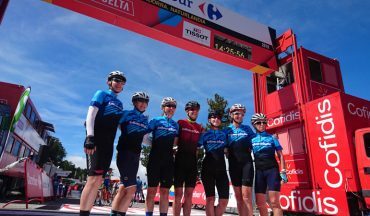 The highlights of our trip include climbing the mighty Angliru, and known by many cyclists as Spain’s version of the Tourmalet, Alto de la Cubilla. 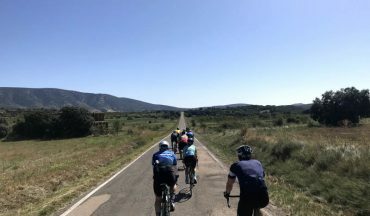 We will ride along many sections of the 2019 race-route, parts of the world famous Camino de Santiago, popular coastal villages and the wonderful cycling routes around Segovia. We’ve scoured the best accommodation close to and sometimes on the race route. Often luxury accommodation with spa facilities and fine dining. At the Vuelta, we often share dining halls with some of the pro-teams along the way. Welcome to Spain. 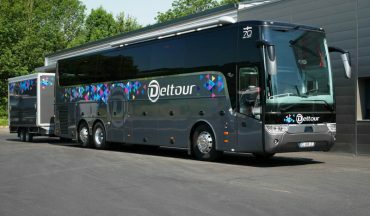 Our luxury transport will transfer us from the airport to the Cantabria mountains to start our 12 day adventure at the Vuelta. For our longer challenging ride today, we will follow the race route to the finish line before descending back to its base to watch the race pass on one of the main climbs of today’s stage. We will travel to San Vicente de la Barquera for today's stage start. 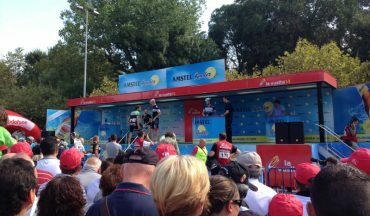 A stage start at La Vuelta is like no other Grand Tour start. Teams and riders are much more relaxed and fans can easily mingle among their cycling heroes. Today we conquer one of the cycling mus – Angliru. 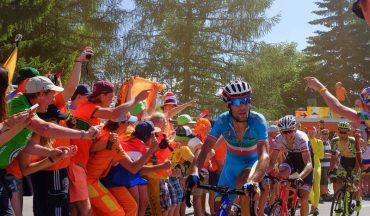 The climb has a fearsome reputation and is the most feared climb of all the Grand Tours, possibly of all cycling races on the UCI World Tour. “The climb is extremely tough, almost inhuman” once said Oscar Sevilla. 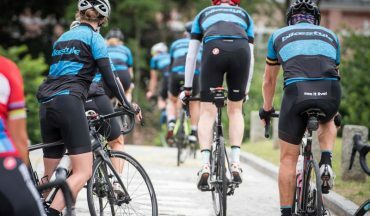 It is our last day in the Asturias region, as well as for the riders of La Vuelta. 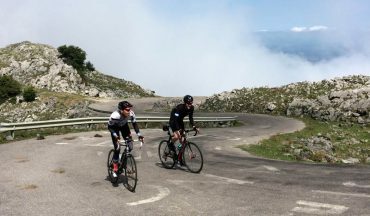 Today’s summit finish is on one of the most scenic climbs in the area, the Alto de la Cubilla, and many say it draws parallels with the great Col du Tourmalet. This morning we leave the Northern reaches of Spain and transfer in a direction for Castile and León. After lunch, we will ride our way through the Ribero del Duero wine region and finish at a winery for a wine tasting and light snack. We will take the opportunity to enjoy a ride in the morning, leaving the afternoon available to explore the cultural sites in Segovia. The city centre was declared a World Heritage site by UNESCO in 1985. We will climb to today’s first climb Puerto Navacerrada and join the race route. If you’d like some extra vertical metres and distance, you can follow the race route and grab lunch at Rascafria. We will enjoy both the stage start and visiting the imposing walls that surround the old city. There are 88 blocks of circular towers connecting the 2.5km wall to explore. The walls of Ávila is the largest fully illuminated monument in the world. Today’s difficult stage has 5 categorised climbs. Strategically, our hotel is located about halfway along today’s course. Our first significant climb is where teams will challenge for the red jersey. Like previous year’s, the leader will have to make a significant effort to hold off the attacks. La Vuelta’s traditional finish takes place on the elegant Paseo de la Castellana, a grand avenue which can be compared to the Champs Elysées in Paris. 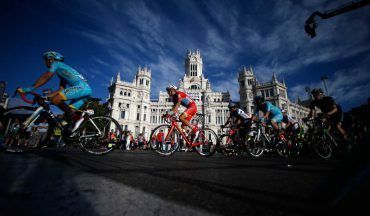 Our scenic ride will take in sections of today’s course and the World Championships course when Madrid hosted the road championships. Today we say farewell to your new friends as our tour comes to an end this morning. You may like to stay on a few days in Madrid and explore this cultural and vibrant city. Did you know that Madrid has the highest life expectancy of all EU-regions? Certainly worth finding out the secret.